Online Form Builder reviews by real, verified users. Find unbiased ratings on user satisfaction, features, and price based on the most reviews available anywhere. The future of online forms is here. Power your brand’s interactions with beautifully designed, professional-looking online forms that people just love. Collect feedback, sign people up to events, receive job applications, take payments, create engaging quizzes or interactive stories. Wufoo is a web application that helps anybody build amazing online forms. When you design a form with Wufoo, it automatically builds the database, backend and scripts needed to make collecting and understanding your data easy, fast and fun. Because we host everything, all you need is your web browser and a few short minutes to build a form and start using it right away. While we've collected a few of our favorite features here, the best way to experience Wufoo is first hand. So be sure to sign up today for free or try out the demo to see how form building was meant to be done. Formstack is a versatile online form builder that enables you to build and design web forms without any coding knowledge. Embed mobile-friendly forms on your website and social media to capture leads, collect online payments, gather customer feedback, and turn bulky business processes into streamlined digital workflows. The platform integrates with over 50 popular web apps, including Salesforce, MailChimp, and PayPal. Smart conversion features make it easy to pinpoint your best strategies for capturing data. Advanced security features like HIPAA compliance are also available if you need to collect highly sensitive information. Whether you’re trying to improve the patient registration process at your healthcare facility or collect better leads for your marketing team, Formstack has the power and flexibility to help you succeed and make better business decisions. Learn more at www.formstack.com. JotForm's form builder is the easy way to create and publish online forms from any device. The company offers 10,000 ready-made form templates, dozens of integrations to 3rd party apps, and advanced design features making it the leading online form builder for organizations all over the world. It's popularly used to create payment forms, lead generation forms, registration forms, contact forms, application forms, and more. FormAssembly is an enterprise form solution built to help teams streamline complex processes and drive quality form conversions. Systematize your organization's access and process for creating forms and collecting data. Reduce the overhead cost of purchasing multiple data collection solutions by investing in our one, powerful, flexible form solution. FormAssembly eliminates arduous workflows and manual data entry through unmatched integrations with the systems your company already uses, like Salesforce. From collecting outside data, to streamlining internal processes, FormAssembly is a completely customizable solution that meets all your data collection and integration needs. 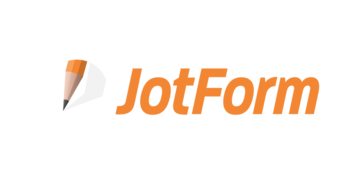 JotForm Cards is the latest offering from JotForm, an online form-building platform, boasts robust features designed for increased conversion rates and a friendly customer experience. A modern customer experience platform helping businesses to create personalized interactions at every step of the customer journey, increase audience involvement and gather better data. With brandquiz users can easily create and publish lead pages & promotions for lead acquisition, quizzes & personality tests for lead qualification & segmentation, price calculators & digital sales assistants for sales conversion and product & customer satisfaction surveys for measuring customer experience. Zoho Forms is an online form builder that backs up data on the cloud. With a drag and drop form builder that is responsive on all mobile devices, Zoho Forms also offers native mobile applications for iOS and Android devices. Zoho Forms supports task assignment, approval workflows and simple mobile forms. With pre-made customizable themes and templates, Zoho Forms is integrated with other Zoho products and Google Apps. Zoho Forms is an online form builder that lets you create mobile-ready online forms. You can either share your form with select users via email, or share the public link of your form. All your data will be stored in the cloud, and you can access them any time, from anywhere. With a drag-and-drop form builder that is responsive on all mobile devices, Zoho Forms also offers native mobile applications for iOS and Android devices. Build online forms, gather data, and complete your workflows. Inspire your mobile teams by working mobile. Be productive, anywhere. Zoho Forms offers, 1. An intuitive web and mobile form builder. Drag and drop fields to add them to a form. 2. Field and form rules so that you can set a spontaneous flow for your form. 3. Task assignments and approval workflows to keep productivity on the move. 4. Graphical analytics to track your entries, conversion rates, and response errors. 5. Mobile apps, and offline support so that you can save data on your device and sync them when you're back online. 6. Integrations with Zoho's CRM, Support, Campaigns, Sheet, and Creator, and with third party vendors like Google Apps, Google Spreadsheet, and MailChimp. 123FormBuilder is a versatile and user-friendly web form builder that helps organizations and individuals in over 185 countries build forms, surveys, polls, and quizzes without having to write a single line of code. More than 1.9 million users utilize 123FormBuilder to collect data, optimize internal processes and complete payments online. You can select from a variety of third-party apps and payment gateways that you can integrate with your web form, such as PayPal, MailChimp, Square, Stripe, Authorize.Net, SalesForce, and the list goes on. 123FormBuilder has built dedicated form building apps for Wix, SalesForce, Shopify, Weebly, Hootsuite, BigCommerce and WordPress. Use the simple drag & drop interface to add the fields that you require, set up custom email notifications, configure your form with many advanced features and distribute it on multiple channels with ease. For online payments, 123FormBuilder's advanced order form settings include the ability to create custom calculations, add coupon codes, use markups and discounts, and customize the payment summary. Our dedicated customer support is always active in providing the best technical assistance when needed. We help you get results when it comes to using 123FormBuilder. Ninja Forms is a free form creation solution for WordPress. Caldera Forms Free gives you a drag and drop builder with conditional logic and all the fields you need to create powerful mobile-friendly WordPress forms. Extract data from invoices, extract data from PDF, convert PDF files, sign pdf, fill pdf forms online! Easy to use, works online and saves time. The FormWarePro makes it easy and seamless for you to build forms you need. If you're looking for a powerful solution to solve everyday problems or streamline and digitalize your organization or business processes, the FormWarePro can help you. It is built to give you productivity, efficiency, experience and more. Launchcloud is a cloud-based automation service that enables businesses to automate their processes by replacing inefficient paper forms with powerful data capture tools. Launchcloud’s automated forms allow you to capture information on the web, on a mobile device, online or offline - and then view it later in Reports or have it flow directly to your CRM, Google calendar or docs, or even Evernote. Launchcloud offers a drag & drop form design interface, making it easy for anyone to design beautiful forms. Pictures, Videos, Checklists, Automatic Mailouts, Products, Payments and many more features can be found in the Launchcloud Form Builder - Data collection & automation made simple. Orbeon Forms is a solution to design, build and deploy web forms. TellForm is a free, opensource form builder similar to Google Forms or TypeForm. It was created and is maintained by David Baldwynn, an Electrical Engineering student studying at UBC. Advanced Custom Fields is a WordPress plugin which allows you to add extra content fields to your WordPress edit screens. Build beautiful, secure and flexible user signup flows in minutes instead of weeks with the visual editor. Lets AI optimised multichannel communications platform boost conversion. Formidable Forms is a WordPress form builder. Mi-Co's proven Mi-Forms MEAP technology acts as the bridge between your Android Phone and Tablets and your enterprise infrastructure, removing the traditional barriers to enterprise-level Android Phone and Tablet usage for data capture. Knowledge Workers, Healthcare Providers, Inspectors, and Field Service personnel regularly approach Mi-Co to deploy solutions based on mobile devices to efficiently collect data electronically on-the-go. Mi-Co has helped enterprises such as the IRS, USDA, Sutter Health and more, to implement mobile data collection solutions on a variety of mobile devices including Android Tablets, Android Phones, iPads, iPhones, Tablet PCs, Digital Pens, Notebooks and Smartphones. PerfectForms is a web-based application development platform that enables both IT professionals and business users to create workflow applications without writing code. pForm is a free HTML form builder. The Lost Paper is an intuitive and agile platform developed for you to create and distribute electronic forms & checklists in minutes. It will meet the needs of any situation you can think of. Upscribe provides tools to create newsletter Signup forms for Medium. Lead capture forms for Close.io. Link an existing form, or create and deploy a new form in less than 5 minutes, then sync all form entries to Close.io. Abcsubmit.com is a online platform which allows you to create stunning forms and websites. Arclab Web Form Builder the online form creation software for Windows PC to create php and MySQL forms with ease. Build single or multi-page HTML online forms on your Windows PC and upload the forms to your own website. Simple form backend for designers and developers. Collect submissions and track conversions for free. Captisa lets users create online forms. Users can develop forms to generate leads, conduct customer surveys, find applicants for a job, or register guests for an event, Captisa's easy-to-use form builder lets users build a customized online form to fit your exact needs in minutes. Chalk converts any document into a form that can be signed or filled out online. CreateForm provides templates and tools to build online forms. DSAR Form enables you to publish an on online data subject access request form in minutes. This easy to use online form builder will get you ready in minutes. eForm.com is a software platform which enables Digital Transformation by simplifying and automating repeated tasks like data and document collection. With it's built-in Artificial Intelligence (AI), omni-channel collaboration, configurable workflows, advanced rule engine, intelligent data classification and transformation engine, eForm not only reduces your cost of operations but also enhances your customer experience to truly transform your enterprise. Docupace Technologies is a provider of secure and compliant electronic processing solutions for financial services firms and their advisors. Fast Forms is a form builder for Salesforce and iMIS. Hi there! Can I help you find the best Online Form Builder solutions?